Each one of these code sets describes different parts of a patient's visit. ICD-9 includes all diagnoses that are coded on any type of claim, whether it is medical, dental, behavioral, or anything in between. CPT (Current Procedural Terminology) is technically part of the HCPCS system. 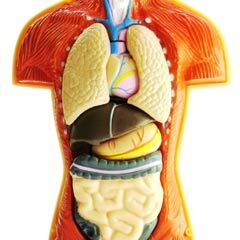 It includes all of the actual physical procedures, including lab tests, injections, exams, and surgeries that can be done at an office visit. HCPCS stands for Healthcare Common Procedure Coding System. This code set is made up of two levels. Level I is comprised of all procedure codes, and is called the CPT coding system. Level II, on the other hand, includes all of the supplies, drugs, and ambulatory services that are also used in the care of patients. Why do we need HCPCS codes? With CPT and ICD-9, one more code set may seem superfluous. Why do we need another code set, when the two other sets are so vast and comprehensive? The answer lies in the complex tangle of equipment used to treat patients, as well as an attempt to report the usage of supply codes so that they can be reimbursed by insurance companies. Doctors use a huge array of medical equipment during the treatment of patients. Whatever is not specifically included within a CPT procedure code is separately reported in a HCPCS code. Another important differentiation between HCPCS level II codes and CPT codes is the level of use. For example, when a CPT code and a HCPCS code have the same definition, the medical coder must use the CPT code. If there are levels of the procedure, however, the coder must use the appropriate HCPCS code, indicating the extent of the service provided. What's included in the HCPCS system? There's such a vast array of different services and supplies provided under the HCPCS Level II system that it would be practically impossible to list them all here. As you can see, HCPCS Level II codes range from medical procedures to prosthetic devices, durable medical equipment like wheelchairs, and biological substances. Will I use HCPCS codes in my job? Whether or not you use HCPCS Level II codes in your capacity as a medical biller depends on what type of billing you do. 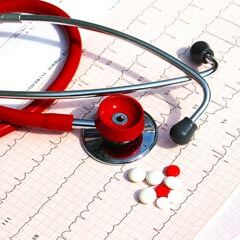 In a regular family practice, you may use only a small amount of HCPCS codes. These will usually be supply codes or drug codes. A typical drug administered in a pediatrician's office is Rocephin, which is basically an injectable antibiotic. The HCPCS code for this drug is J0696. So, if you have a patient come into the office and she is suffering from a severe infection, and the doctor deems it necessary to treat her with Rocephin in the office, you'll have to bill the insurance company for the drug (J0696), as well as the office visit, injection code, and any other necessary codes. Other specialties use HCPCS codes to a greater extent. Orthopedic doctors, for example, often treat patients with splints, braces, wraps, and other orthotic devices. 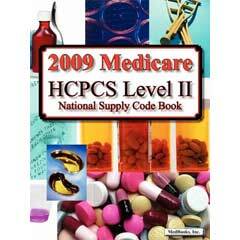 There is an entire section of the HCPCS Level II manual that is devoted to these commonly used codes. If you're coding for an orthopedic office, you'll need to be more familiar with HCPCS coding requirements to make sure you are billing for all necessary components of the patient's care. Do insurance plans reimburse for HCPCS Level II codes? The rate for many HCPCS codes is sometimes very small, if it's allowed at all by the insurance companies. Before you begin providing services requiring HCPCS codes and billing them to insurance companies, call your insurance plans to make sure they will reimburse you for all of the supplies and service you provide. You may also need to add a modifier to make sure that the HCPCS codes will be reimbursed sufficiently. It's always a good idea to be familiar with all of the supplies and services that you provide to your patients. HCPCS Level II codes are updated regularly, so continue checking for updates to see if you can bill insurance for the services you provide your patients, increasing the bottom line for your office.